Effective solutions are constantly searched for in Construction & Demolition Waste (CDW) processing, but what if those solutions were right before our eyes? Often it is just a matter of changing perspective, and not only the obvious fact that CDW is not really waste, but the realization that it is actually a huge resource, still to be exploited. The way waste is processed needs a new outlook. Luckily often the answer is available, and the lesson learned is that strength comes from unity. In the world more and more people share their experiences to help others to achieve a better result, same applies even to CDW processing. After all, the environment we share will benefit from a streamline recycling process, landfill is not the solution. The process of recycling is pretty straight forward, firstly, fine material is separated. Subsequently there needs to be a volumetric reduction, a separation from any metals and the final removal of the light fraction. However, of this whole process crushing is considered the critical phase for several reasons. And this is where those, who have already found an easier way, share their valuable experience, giving a new dawn to all. Steel reinforcement was a dramatic innovation of the 19th century. The bars add strength to the reinforced concrete, however pillars and all the debris that contain iron are difficult to process, making the reclamation stage long and costly. 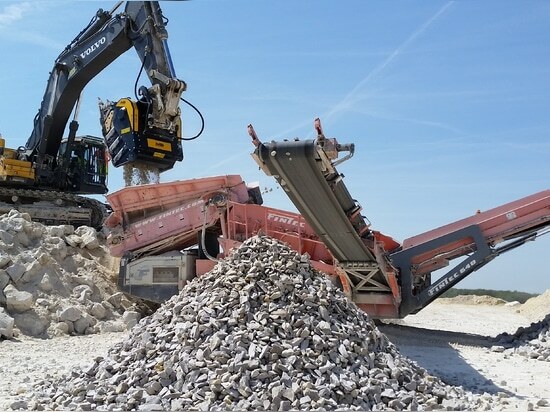 In the Hautes Pyrénées ( France) a combination of a crusher bucket BF80.3 with an iron separator and a New Holland excavator are paring up to recycle the railway sleepers which were cumulated. The MB crusher bucket can work with any brand of excavator, utilizing their hydraulic system, so material that represented difficult waste to dispose can be not only a revenue font, but an easy task to accomplish. The alternative in the market given by MB jaw crusher bucket, is a cost-effective way where concrete can be separated from the iron. To facilitate this operation the suggestion is to load the bucket with an MB grapple and let the jaw and gravity do the rest. 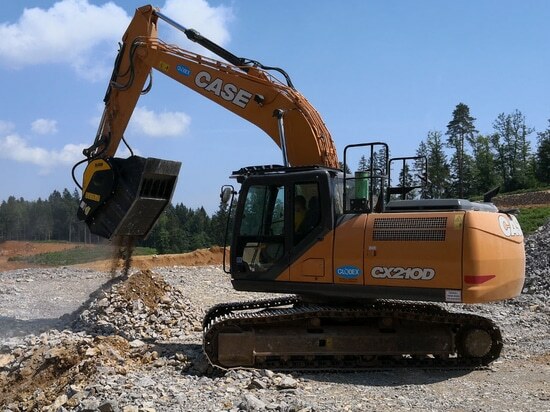 Alternatively, skilled operators can feed the bucket maneuvering the excavator, a magnetic kit installed can also facilitate the separation and salvaging the metal. Brazil - Lightposts were accumulated in a warehouse, treated as waste due to the difficulty of the reclaiming process. But with the use of a Bucket Crusher BF60.1mounted on a Case CX130B, these old posts became font of income: easily processed to extract the iron which is then resold. By not attempting to feed traditional crushers with the pillar, the belt can be salvaged. Therefore companies using MB Crusher Buckets can really have the opportunity to be ahead of schedule and within budget, even in jobs considered challenging or drudgery. Another way to optimize traditional crushers in reclaiming plants, is to introduce uniform material, step easily achieved by using the output material coming directly from MB crusher buckets and MB screening buckets. Paris ( France) strength comes from unity. This quote could not be more suitable to the case. In fact, to obtain different outputs in record time with an incredible saving in production cost, a MB Crusher Bucket BF135.8 feeds a screener already in place . 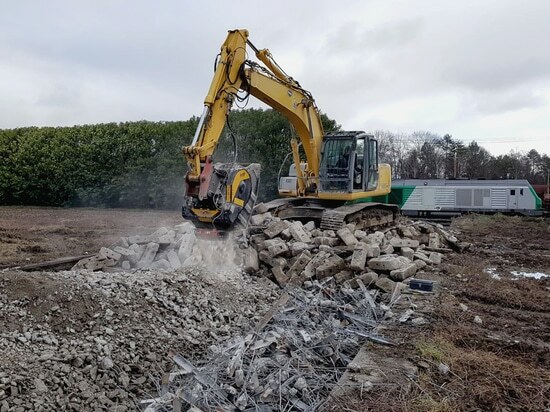 Pre-crushing the blocks, using the Volvo E700 70t excavator, permits a consistent input. Traditionally this operation would have required a wide size for maneuver and the use of more equipment. But extraction sites are changing, job schedules are tight and commitment to safety crucial. 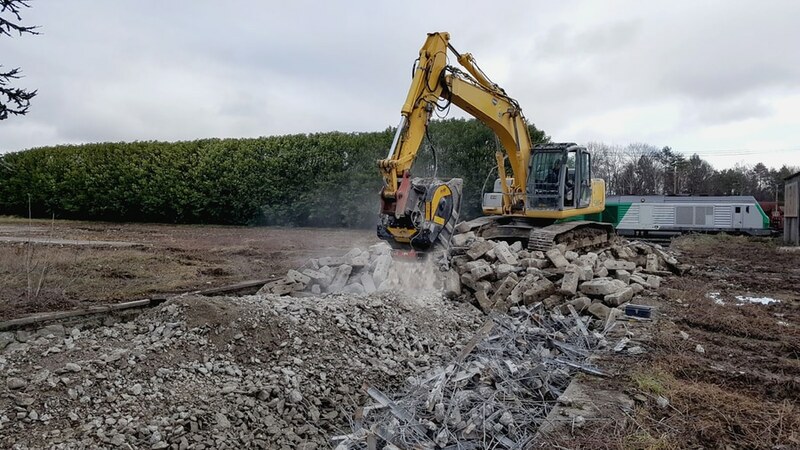 In this case, after the extraction, the silica needs to be reduced to be treated, the BF135.8 simply scoops it up and with jaws set to 0/120 the material is crushed directly into the screener mouth, one operator manages the entire chain safely from the excavator cab. Mexico - when there is huge extensions in the quarry it is necessary to have agile systems. 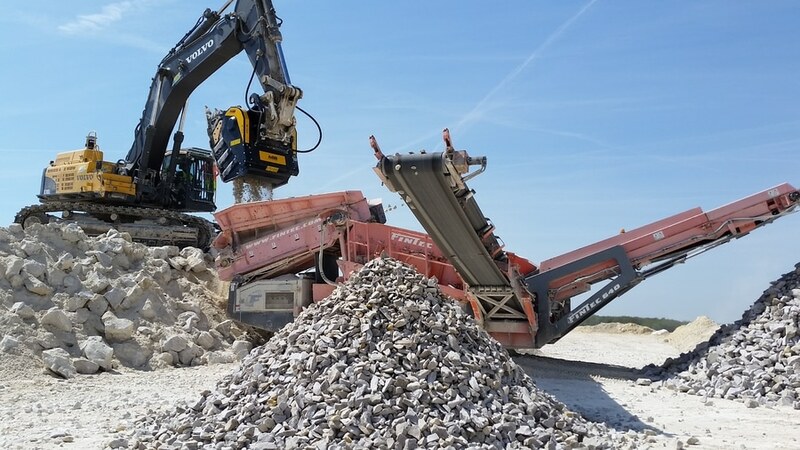 The ideal fleet complement for big sites, like this one, has been identified in the MB-S18 screening bucket to process limestone with a Caterpillar 336D. 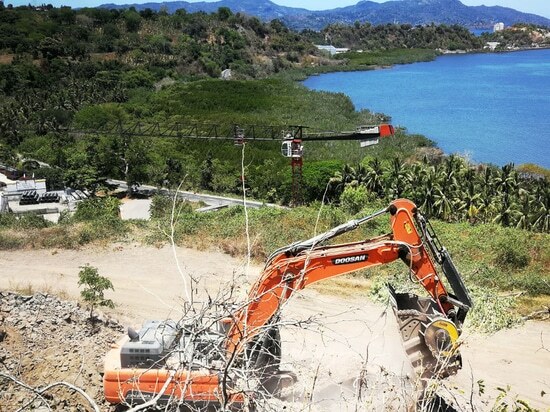 By sifting the material before, not only hourly production rate increases but also, by using the excavator hydraulic supply, impact on costs has been minimized. Modern quarries management often has problems with logistics, as to reach the fixed plant to process material, requires many trips, MB units offers the key solution with the plug and work flexibility provided by its attachments. Since the dawn of time, mankind has been looking for more productive ways to operate and each specific challenge requires specific solutions, therefore combinations are considered countless and many have yet to explore their choice. Foundries that recondition metals and waste materials, turn disposal costs into competitive advantage and expand their market. THE FOUNDRY SECTOR: WHERE SCRAP IS WORTH THE SAME AS "GOLD" THE FOUNDRY SECTOR: WHERE SCRAP IS WORTH THE SAME AS "GOLD"
Whether small or large, the MB Crusher range solved the issues of accessing and moving machinery into isolated or inaccessible areas such as islands. MB Crusher units persevere, unbeatable. Do not retire and collaborate with newer models. Here some testimonials from The Old Continent. MB Crusher has been in the attachment industry for 15 years, actively listening to operators and companies from all over the world. A common concept raised: a practical and flawless site is the key to a competitive edge.